COMMENT: Food labelling – Is it true, misleading or an outright lie? Here’s an opinion piece that should resonate with both food marketers and consumers….the good, bad, ugly, what-should-be’s of food labelling! It has been penned by Andre Westerveld, regional director of Elanco Animal Health. The increase in questionable labelling claims to differentiate products has become an issue of concern for academics, regulators, and consumers around the world. A walk through the aisles of a local supermarket will reveal some interesting marketing claims made on product packaging – some valid, some spurious at best. Capitalising on the bombardment of marketing messages, we see companies involved in deceptive marketing that exploits consumer confusion to insinuate that their product is superior to other equivalent products on the market. One is left wondering whether consumers really can believe what they are being told on the labels of their food, cosmetics, detergents and health products. Think of how many times you have seen the following claims – “All-Natural, organic, hormone-free, GMO-free, antibiotic-free, gluten-free, sugar-free, eco-friendly, detox, zero trans-fats, new and improved, guaranteed results”, and many more. In the context of food production and issues of sustainability and food security, the trustworthiness and the understanding of label information displayed on food packages have never been more important. Consumers face a lot of confusing and conflicting language that tends to overshadow the real nutritional benefits of food. For example, there is simply no difference between the nutritional value of conventionally grown food and organic crops. Yet how many consumers understand this, and can make the distinction between nutritional value versus a production method? Do consumers really understand what it means for their food to be antibiotic-free, or whether it would be ethically acceptable to leave a sick animal to suffer if antibiotics could treat it, or whether we can bring safe and affordable food to our tables without veterinary medicines? Instead of creating misleading food labels as a means of short-term differentiation and profit gains, we should be educating consumers so that the resultant food choices they make are informed. It’s easy to exploit consumer confusion as there is a vast disconnect between consumers, retailers, and producers, with the former two rarely exposed to the realities of food production, on-farm disease management as well as the increasingly important sustainability challenges of farming. As an industry, we need to use all the resources at our disposal to share information and dispel the myths – press releases, websites, marketing materials, social media, expert roundtables and debates and packaging to transparently educate consumers to seek out valid information to inform their choices and decisions, rather than leave the door wide open for misinformation, misinterpretation and ultimately, consumer mistrust. The dairy industry has not escaped these very challenges. Dr Jude Capper, a UK-based livestock sustainability consultant who presented at the MPO conference in September 2016, said there is a growing and urgent need for producers to actively inform consumers about dairy production and products to dispel the growing mistrust from consumers. Who can forget the “rbST-free” labelling tussle that raged on South African retail shelves for years? Recombinant Bovine Somatotropin (rbST) is a supplement that increases the level of a protein that facilitates milk production. When combined with the fundamentals of good farming, it can help a cow produce up to 15% more milk per day. Because it works with the cows’ natural means of producing milk, there is no difference in milk from cows supplemented with rbST versus those that are not. When farmers use rbST it helps them produce more milk from the same amount of cows. This makes our natural resources go further by reducing the use of water, land emissions and feed for each litre of milk produced. 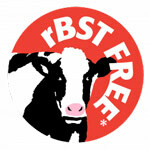 Despite the scientific evidence of its safety and it being deemed safe by the FDA and regulators in more than 50 countries including South Africa, as well as trusted health organisations like the WHO and the American Medical Association, some retailers and processors used the ‘rbST-free’ label in an attempt to differentiate what is essentially a commoditised product. The ‘rbST-free’ icon has to be removed from all marketing media including packaging and advertising as the rbST-free claims were in contravention of the Agricultural Product Standards Act, 1990 (Act No. 119 Of 1990) which regulates the classification, packing and marking of dairy products for sale in South Africa. According to Dr Jude Capper, a UK-based livestock sustainability consultant, most people think that the “no hormones added” label means a product has no hormones at all – hormones naturally occur in all animals”. Marketing campaigns that purport that organic milk is hormone-free are inaccurate as all milk, whether produced by a cow, goat or sheep, contains hormones regardless of whether the animals are raised conventionally (pasture or TMR), or organically. Even soya milk contains plant-based hormones. Irrelevant labelling can only contribute to the confusion that will damage consumer relationships and trust in the integrity and sustainability of our food chain. Left unchecked, consumers will in future disregard all such marketing claims – valid or not – which not only hurts consumers and business, but it will also harm the environment as there will be little incentive for anyone to invest in the sustainability of farming, and how we better use our very limited resources to their best effect and outcomes. Retailers also need to be reminded that taking a purely legalist perspective towards marketing practices is very simplistic. Even marketing ethics texts identify that everything that is legal is not necessarily ethical (Smith and Quelch, 1993). As corporate citizens, businesses need to comply with the law, AND they need to behave in a manner that benefits society. History has shown that regulations alone do not ensure that firms provide consumers with completely accurate and transparent information. Marketing messages purveyed today may not necessarily support the long-term interests in environmental sustainability and humane animal husbandry further down the line. Using inaccurate marketing hype and catchy labels to differentiate is short-sighted. Finally, it’s all about choice. Consumers are entitled to have a choice over the production methods of the food they eat. For them to do that in an informed manner, they need real facts and complete pictures that avoid over-simplistic and hyped rhetoric. We need to work together towards soundly educating consumers for the long term sustainability of the entire agricultural sector. These are complex and highly interlinked issues – hardly debates that can be adequately addressed in a single, myopic marketing claim on a food label.